Malware variants are evolving at an exponential rate and are becoming more difficult to detect and control. Wide-ranging security vulnerabilities, and faster and more sophisticated malware variants are all making it extremely difficult for security experts to prevent those threats. Nowadays, hackers are using advanced malware variants to hack corporate networks faster than most enterprises can defend against them. Finding the malware and studying malware-infected devices is a common task for an IT security team. Traditional endpoint security products can be useful in detecting known malware, but they can fail when faced with new or evolving malware types. Organizations also face similar threats from other non- malware threats that are often associated with malware. One of these threats that has become commonplace is phishing, which is using deceptive means to trick individuals into disclosing sensitive information. Most of the malware attacks that occur today are blended attacks, i.e., a combination of one or more attacks. Nowadays malware relies heavily on social engineering, in which hackers try to deceive people into disclosing private information or performing specific actions, such as downloading and executing files that appear to be benign but are actually malicious. Newer forms of malware do not neatly fit into any specific category like a virus, spyware, adware, etc. For example, in the growing trend of web-based malware, also known as drive-by-download, a user's web browsing is redirected to an infected website, often with little or no use of social engineering techniques. Once the user visits the infected website, it then tries to install rootkits or other attacker tools onto the user's device by exploiting security vulnerabilities in the user's device. Although the site is infected, its malware does not infect the user's device directly; instead, it functions as a hackers tool and installs other malicious tools onto the user's device. Finding and blocking such malware attacks is not an easy task. 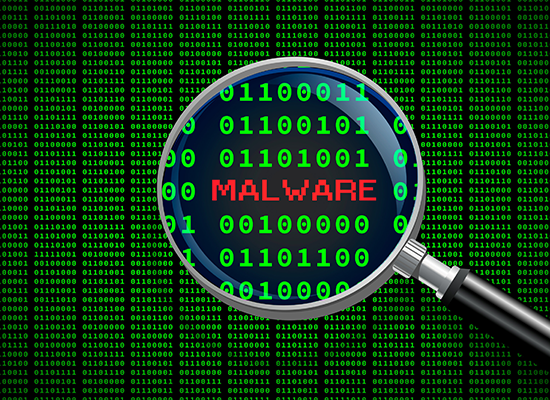 It would take substantial time and resource to detect and analyze every malware attack. With that in mind, Comodo has come up with an award-winning product known as Comodo Advanced Endpoint Protection (AEP). With a Default Deny security approach, Comodo AEP allows only the known good, denying everything else until a verdict is reached. Comodo AEP is an all-in-one endpoint security solution that secures all your servers, desktops, laptops, and mobile devices from known and unknown malware–without requiring signatures or updates. With Comodo AEP in place, you can keep your endpoints and your business data safe, secure and protected at boundaries. Try Comodo Advanced Endpoint Protection today!